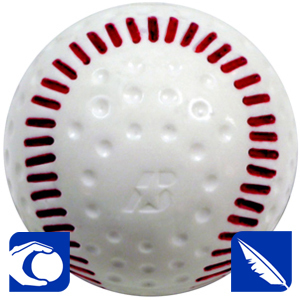 The SBBR Patented FeatherLite® This is a 3.5 ounce durable foam dimple ball. It is great for indoor practice in Gyms where real balls cannot be used. The FeatherLite has also been used very successfully in T-Ball practice and games. Shipping is $20.00 per case lower 48 states. Free shipping if ordering more than 6 cases.